Black Friday Deals Are Mostly Dead. Here's What You Should ― And Shouldn't ― Buy. Imagine leaving the Thanksgiving dinner table at 6 p.m., still strung out on tryptophan, to hop in line at the mall and wait until midnight to buy a big-screen TV you don’t really need. Ask me, and I’d tell you it sounds like my worst nightmare. But for thousands of Americans, it’s a highly anticipated holiday tradition. However, Black Friday isn’t exactly the mega-savings shopping holiday that retailers would have us believe. In fact, thanks to the proliferation of year-round deals and a shift from in-store to online discounts, Black Friday has been dying a slow death in terms of value. But that hasn’t stopped millions of shoppers from shelling out record amounts of money anyway. The deals on Black Friday are not significantly different from any other time. Spending on Black Friday had a meteoric rise from $26 billion in 2005 to $67.6 billion as of 2015. However, competition among retailers and an oversaturation of deals mean ads are leaked increasingly earlier, discounts have become less competitive, and Black Friday has become more like Black November. 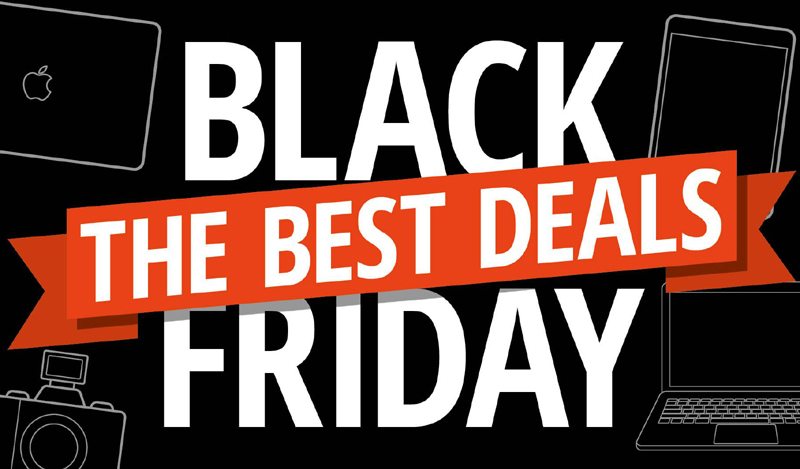 In fact, the best deals aren’t actually on Black Friday. With the addition of Cyber Monday, Super Saturday and pretty much every other day of the year you can find deep discounts, Black Friday deals aren’t as compelling as they once were. “Retailers have conditioned the consumer to believe everything’s on sale every day, which means the deals on Black Friday are not significantly different from any other time,” Steven J. Barr, consumer markets leader for PwC, told The Washington Post last year. After years of competition prompted stores to extend holiday hours and open their doors earlier and earlier on Thanksgiving day, they’re beginning to reverse the trend. According to BestBlackFriday.com, more than 75 retailers plan to stay closed on Thanksgiving, including H&M, Nordstrom and TJ Maxx. Some are blatantly rejecting the concept of Black Friday altogether. REI, for instance, will remain closed through Black Friday for the fourth year in a row and is encouraging shoppers to enjoy the outdoors instead via its #OptOutside campaign. Consumers are catching on, too. Last year, 4 percent fewer shoppers hit stores on Thanksgiving and Black Friday than in 2016. But that means 77 million people still did. And overall Black Friday sales hit an all-time high, with online spending accounting for $7.9 billion. So let’s face it: Black Friday isn’t what it used to be. But there’s a good chance that despite your best judgement, you’ll open your wallet on Nov. 23 (I will, too). If you do, make sure you aren’t totally duped by Black Friday marketing magic. According to Sara Skirboll, shopping and trends expert for RetailMeNot, there are a handful of items you should steer clear of on Black Friday. The latest gaming consoles: Although you might find some savings on the latest gaming consoles during Black Friday, you should hold off. “These sales are usually just bait and you’ll actually find the best deals the week before Christmas as a last-minute push,” Skirboll said. And don’t worry about them selling out ― there’s plenty of inventory on these items this year. Gift cards: They might make good stocking stuffers, but avoid purchasing gift cards on Black Friday. “Gift cards are usually cheaper in December, leading up to Christmas,” Skirboll said. For example, iTunes has offered $100 gift cards for $70 to $80 in December. Regardless of whether you shop in-store or online, if you’re going to drop some cash on Black Friday, here’s what to buy. Electronics: Skirboll said that electronics will sell out the fastest on Black Friday weekend. “If you see a good deal on TVs, computers or phones, pick them up immediately,” she said, noting that electronics will be heavily discounted, up to 40 percent. Appliances: Appliances are also one of the best things to buy on Black Friday. “This is because retailers make more mass orders than they usually stock, and prices drop 40 to 50 percent lower than normal retail,” Skirboll said. Look for deals on items such as coffee makers, electric skillets, slow cookers, toasters, deep fryers, blenders and rice makers. Winter apparel: This is something that gets discounted around this time of year, according to Skirboll, who says you can expect to find discounts upwards of 40 percent off. Sneakers: “Blame it on slow sales in September and October,” said Skirboll, “but sneakers tend to take a price dive in November, making them one of the best things to buy during Black Friday.” You can expect to find 20 to 30 percent off prices. Lifestyle - U.S. Daily News: Black Friday Deals Are Mostly Dead. Here's What You Should ― And Shouldn't ― Buy.